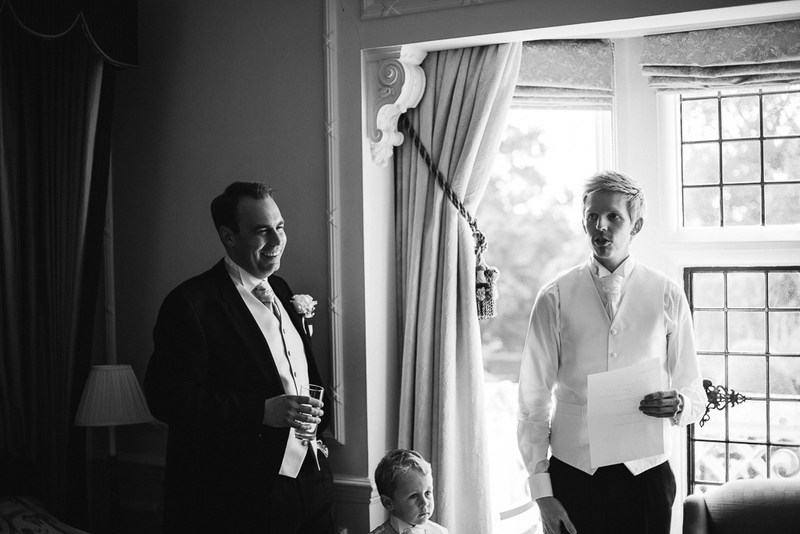 I love a good traditional English wedding at a beautiful country estate. I hadn't been to Danesfield House for many years and it was a delight to photograph here - the grounds are stunning and the wedding ceremony and reception space is spectacular with amazing chandeliers although the room was so packed with friends and family that a handful of guests watched (beers in hands!) from the windows. The whole day was filled with sunshine and fun and of course fireworks to top off a perfect day.